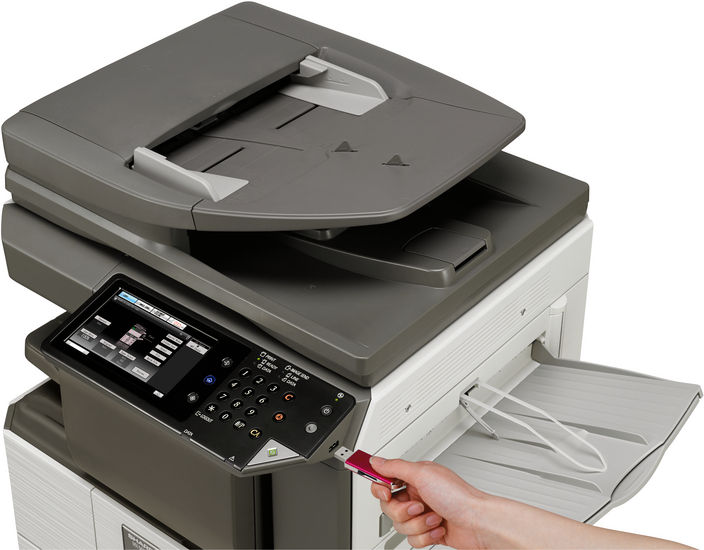 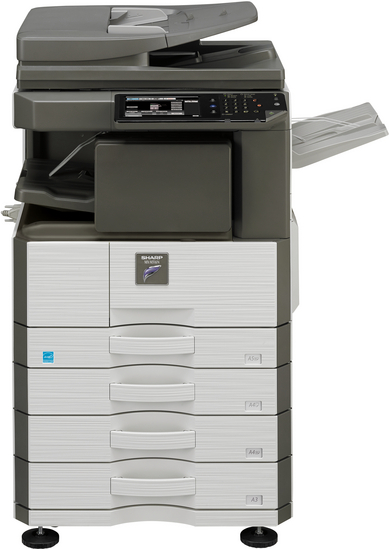 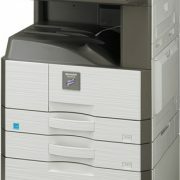 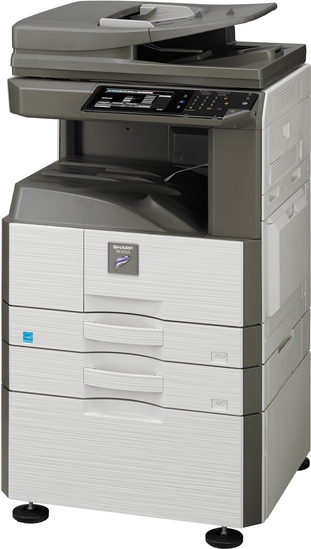 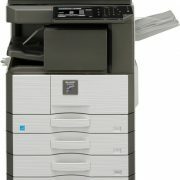 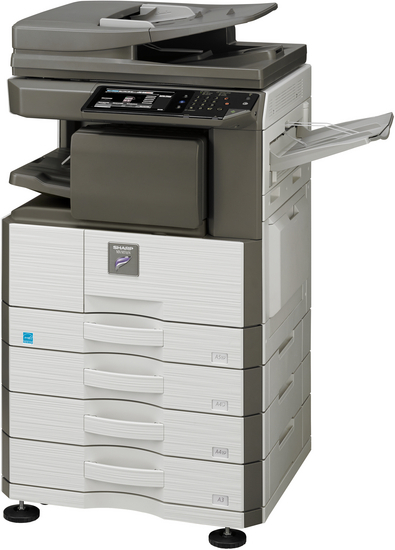 This MFP has been designed with total efficiency in mind. 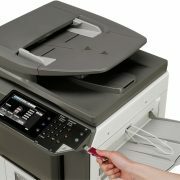 It has a full colour 7.0 inch LCD control panel that offers handy thumbnail and previews (if the optional Hard Disk Expansion is installed). 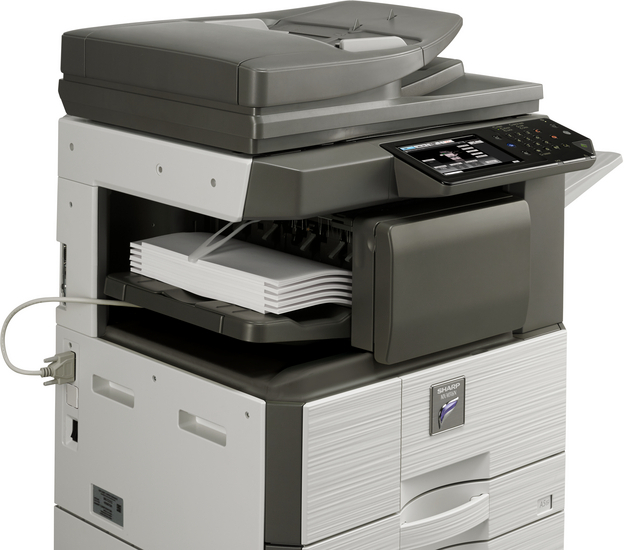 In addition to high quality network printing and copying functions the MX-M356N has a 100-sheet document feeder (RSPF) that lets users network scan single sided, full colour documents as quickly as 56 impressions per minute (ipm), and a built-in stackless duplex module allows them to easily print on both sides of the paper. 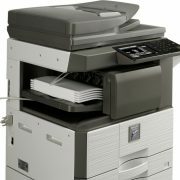 Plus a wide range of options can be added to ensure that users can have the necessary features to meet their needs such as additional paper capacity, fax capabilities and finishing options.